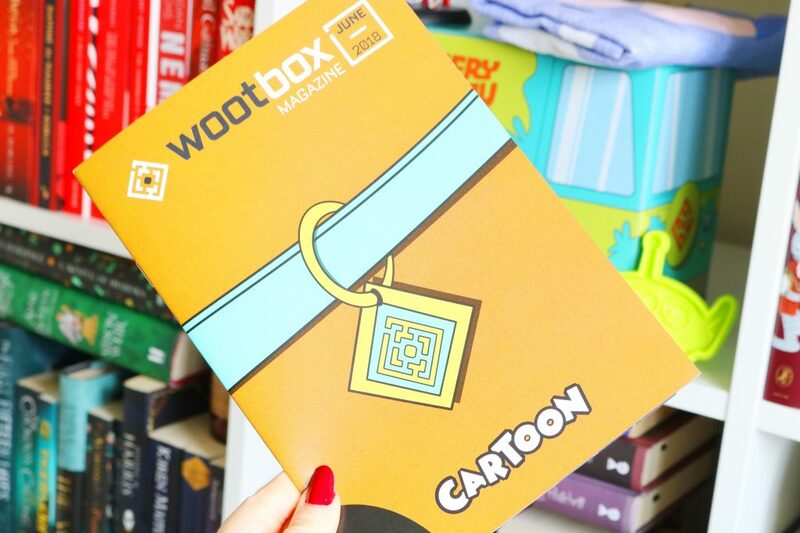 There are so many subscription boxes that I love to receive each month but one that’s always an interesting and often happy surprise is Wootbox which arrives from Belgium. 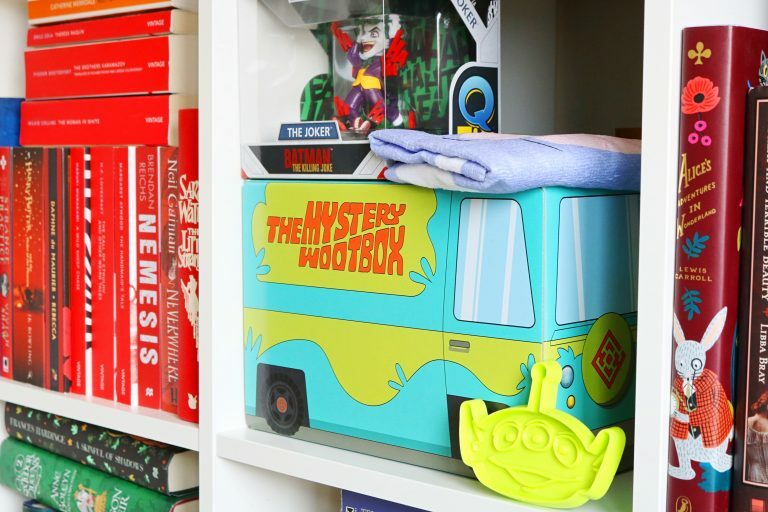 The boxes are always well presented and packaged and contain a range of wonderful geeky goodies. Each month the box has a different theme and the theme from the month of June 2018 is ‘cartoon’ which is one of my favourite themes. 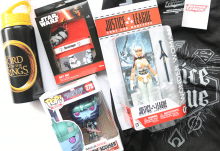 The box features items from Batman The Killing Joke, South Park, Rick and Morty, Toy Story and Adventure Time. 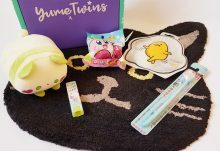 As well as a range of fantastic merchandise, there is always a cute pin and t-shirt within each box. 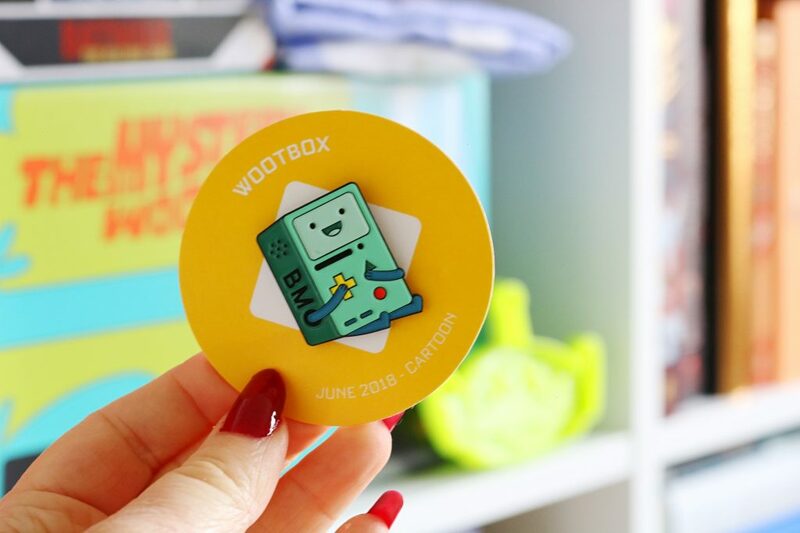 The pin for the June 2018 box is of BMO from the cartoon series Adventure Time which is a cartoon I haven’t watched before. I always love the quality and unique designs for each pin and this one is no different. Next up is another item from a cartoon I haven’t really watched before which is South Park. I think you’re either a Simpsons fan or a South Park fan but not both and I’m a fan of The Simpsons (I wish there was a Simpsons item in this box). The towel design is cute, colourful and it’s a great size for travelling. The cutest item in this month box has to be this adorable alien cookie/pastry cutter from Toy Story. Toy Story was one of my favourite films growing up so this item is very cute and nostalgic to me. I will definitely be making some cute alien gingerbread cookies with this cutter. The penultimate item in the box is a figurine of the joker from Batman The Killing Joke which is an animated film that I’ll have to watch. I’ve mentioned this before but I grew up watching the Batman/Catwoman cartoons from the 90’s so I love anything Batman, Catwomen or The Joker themed! 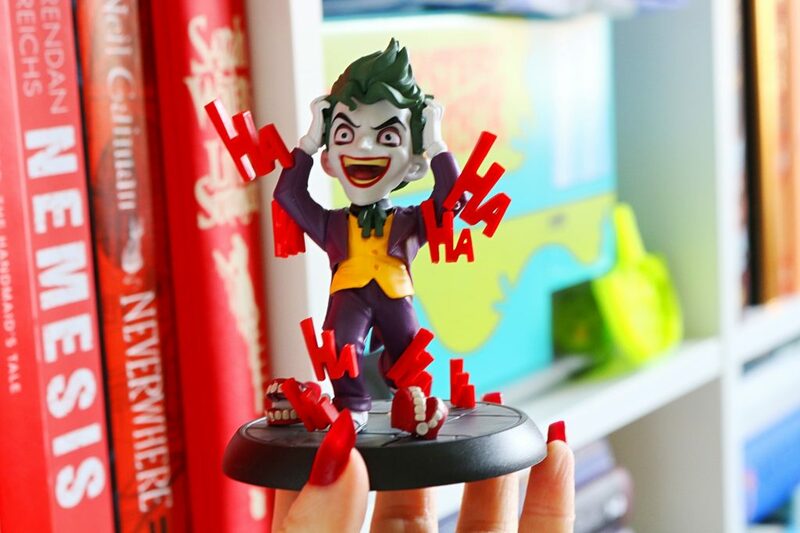 This cute little figurine now lives on my bookcase. While I’ll always love The Simpsons, my favourite recent cartoon is Rick & Morty on Netflix! Rick & Morty is definitely an adult themed cartoon but it’s funny, entertaining and the t-shirt design is just perfect. 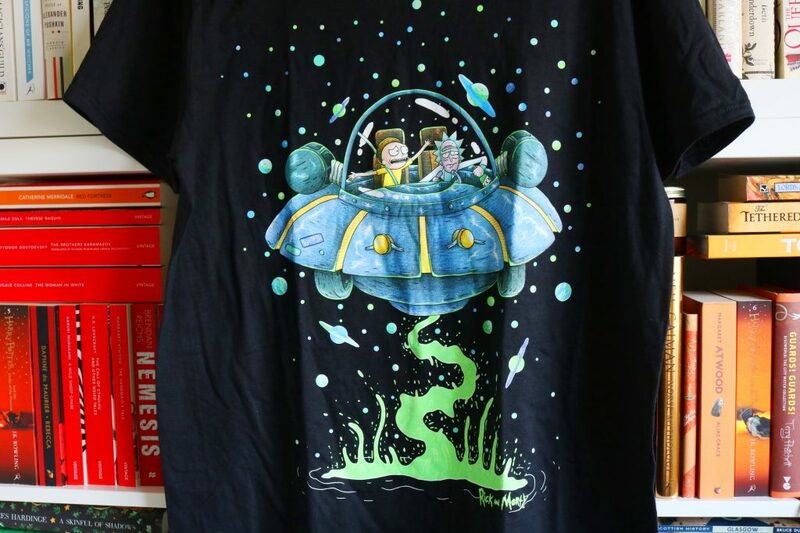 I love the t-shirt and I cannot recommend watching Rick & Morty enough. 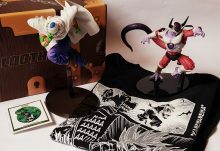 Overall, I'm very happy with this months box especially the Rick & Morty t-shirt and Batman The Killing Joke figurine! I do wish that there was an item or two from The Simpsons though but I cannot recommend this box enough.